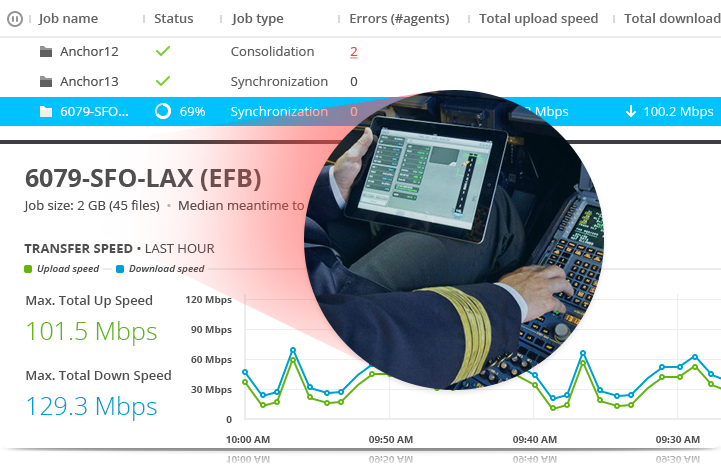 Deploy system updates to emergency vehicles, vessels, and planes faster than anything you have seen before. Connect operates over your existing infrastructure and uses P2P technology and WAN acceleration to overcome any network limitation. Eliminate vulnerabilities in your IT infrastructure with Connect’s fast patch deployment protocol to distribute security patches and updates for ultimate endpoint security. 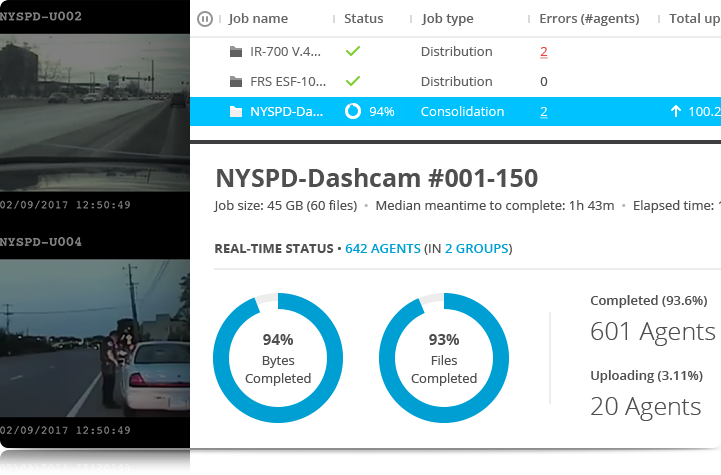 Consolidate data from multiple vehicles with Connect’s robust data consolidation system. Stop wasting time waiting for vehicles to come in close proximity to pull their data. Get performance stats and transportation data from vehicles around the globe traveling with limited internet connections. Distribute time sensitive data like maps, blueprints, user manuals, and Electronic Flight Bag (EFB) information to your fleet of vehicles. Connect delivers over any network and provides the kind of fault tolerance that is expected in your IT environment. 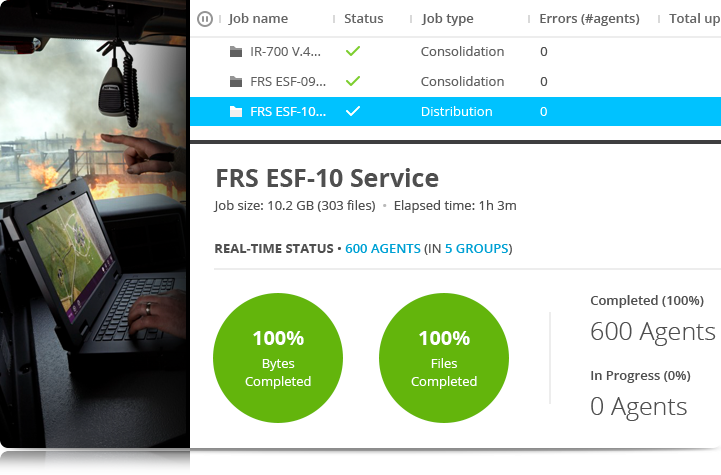 In contrast to DSFR, Resilio Connect was developed to be a robust replication and file distribution solution that is faster under any network conditions and data volumes. Learn how we combine peer to peer, rsync-like delta encoding, and WAN Optimization, three of the most powerful data transmission technologies, into one single solution.